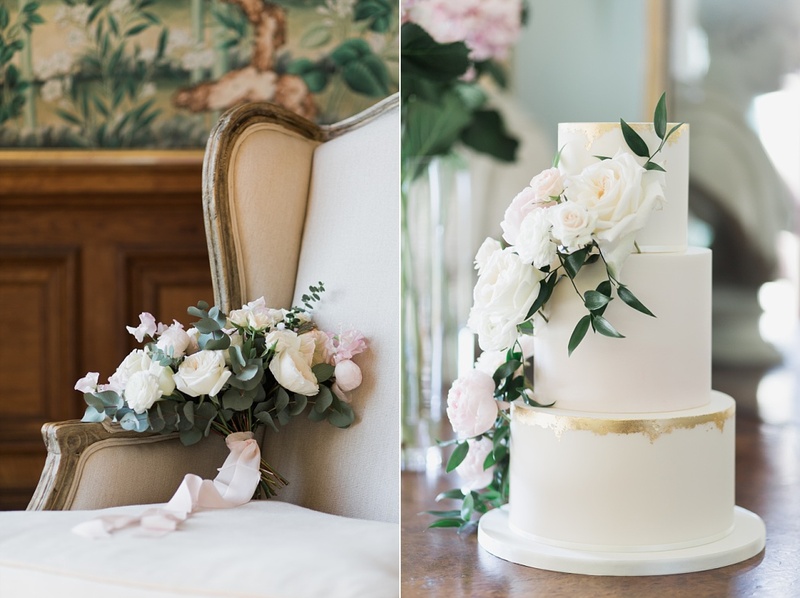 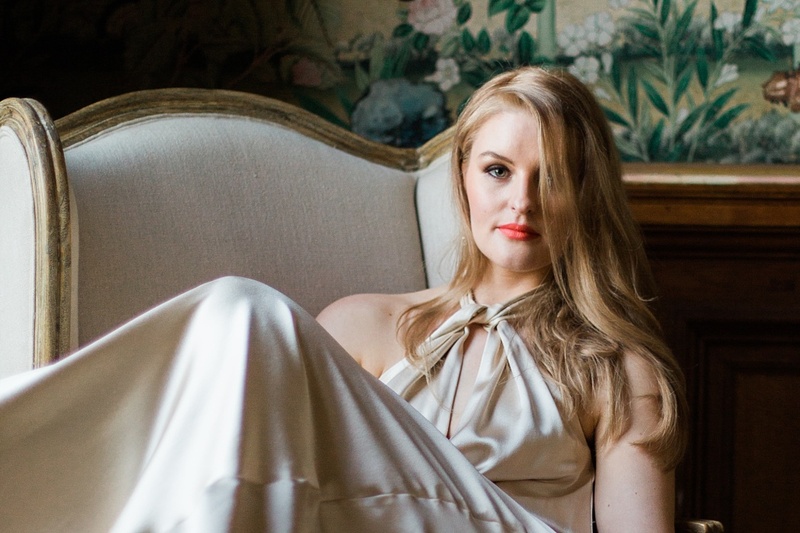 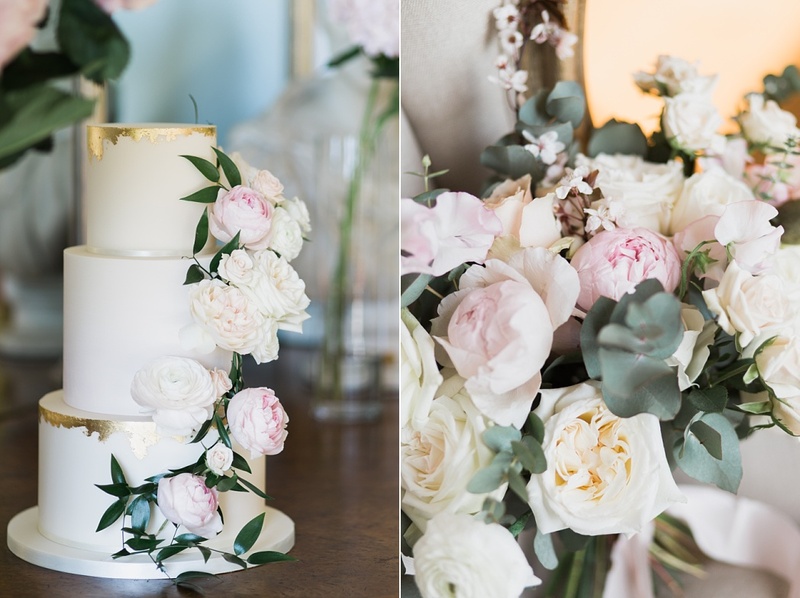 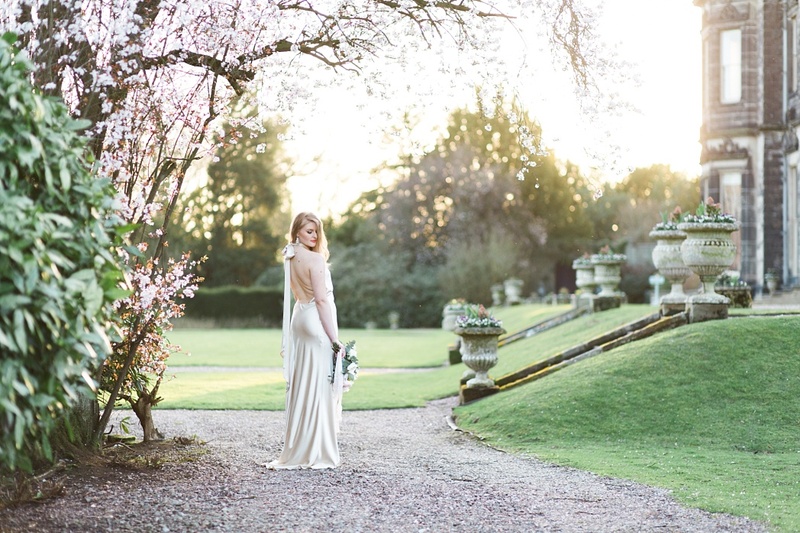 It was wonderful to work with an amazing team once again on this pretty,spring laid back lux shoot at Sandon Hall; a beautiful stately home in the Staffordshire countryside. 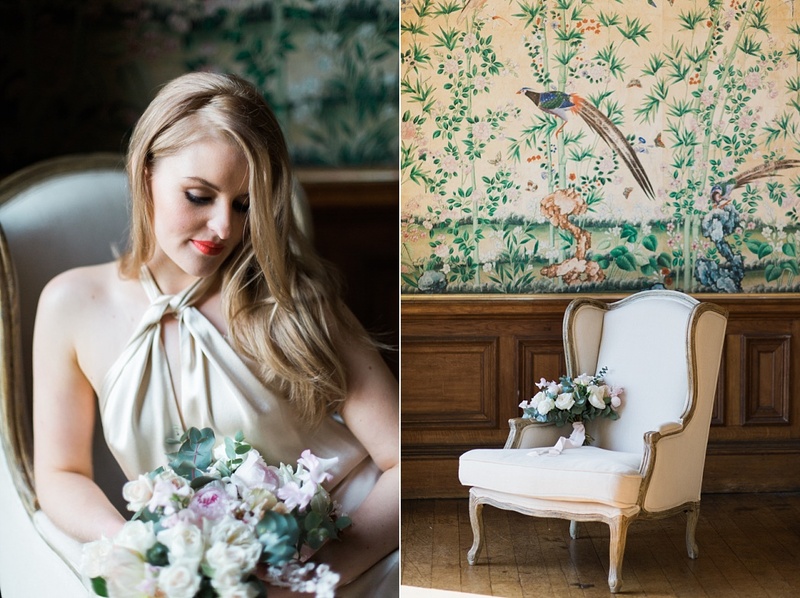 Exuding elegance and charm, this country mansion features the most amazing hand painted Chinese wallpaper featuring spring blossoms which paired beautifully with our Spring theme with blossom in the gardens outside and used to decorate the intimate wedding breakfast table. 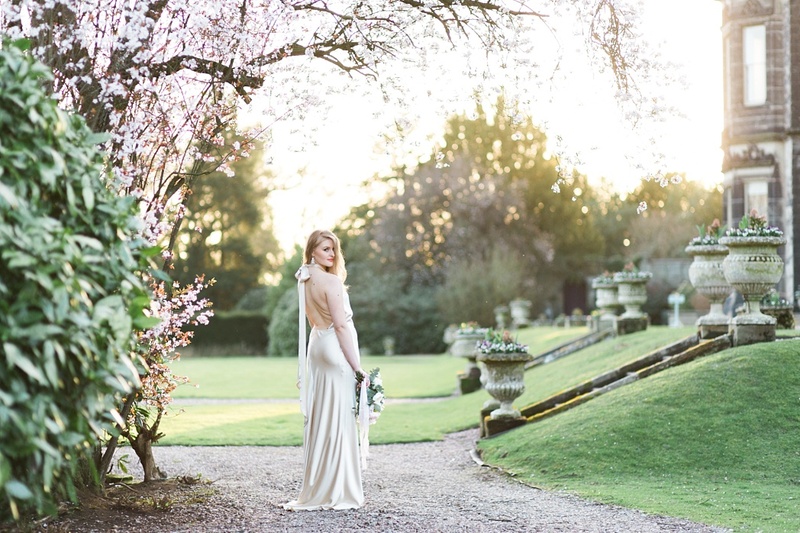 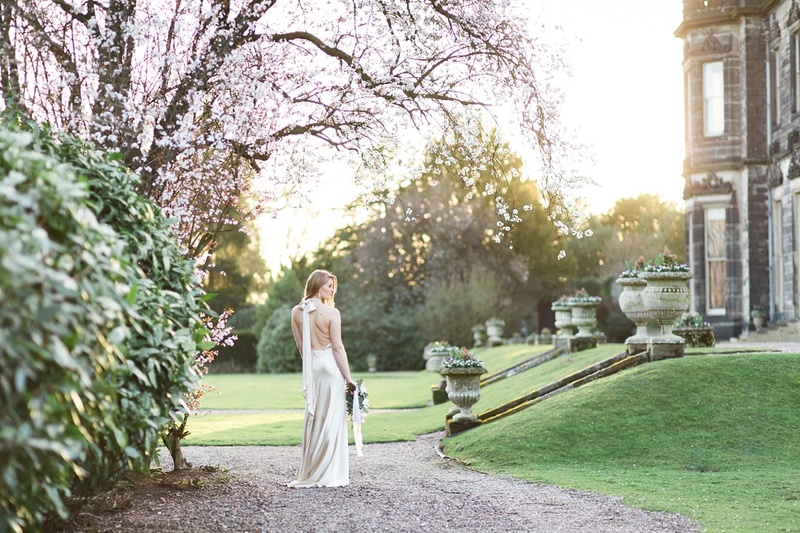 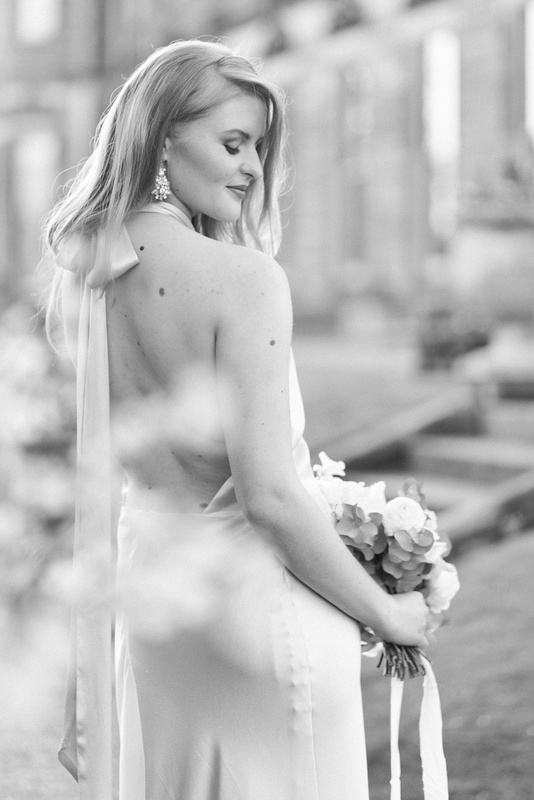 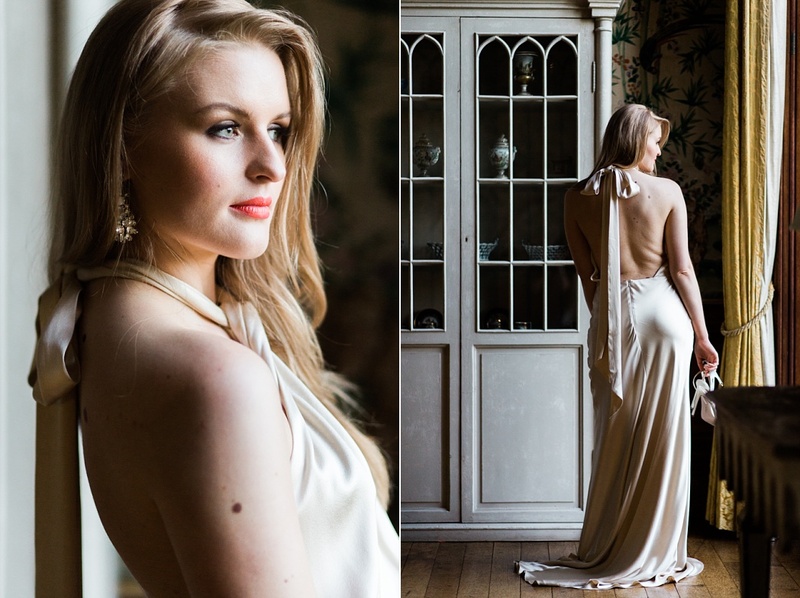 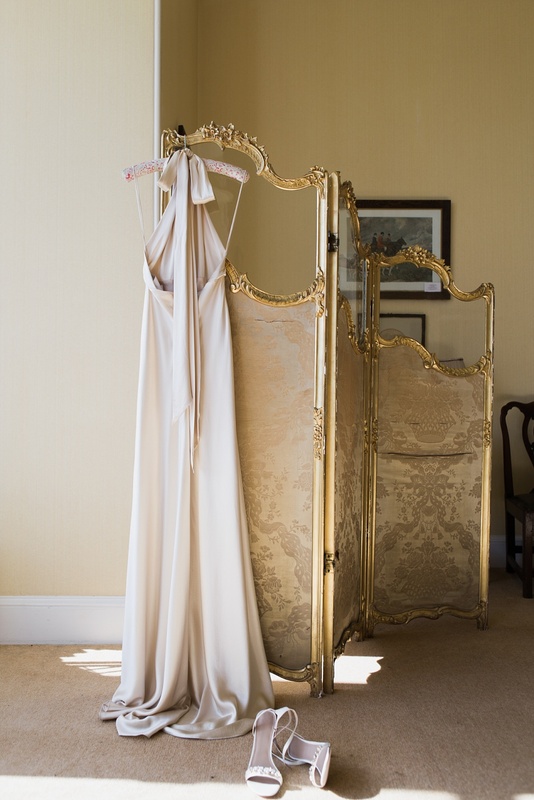 Our bride wore an amazing backless silk satin dress by Halfpenny London and from The White Closet in Didsbury. 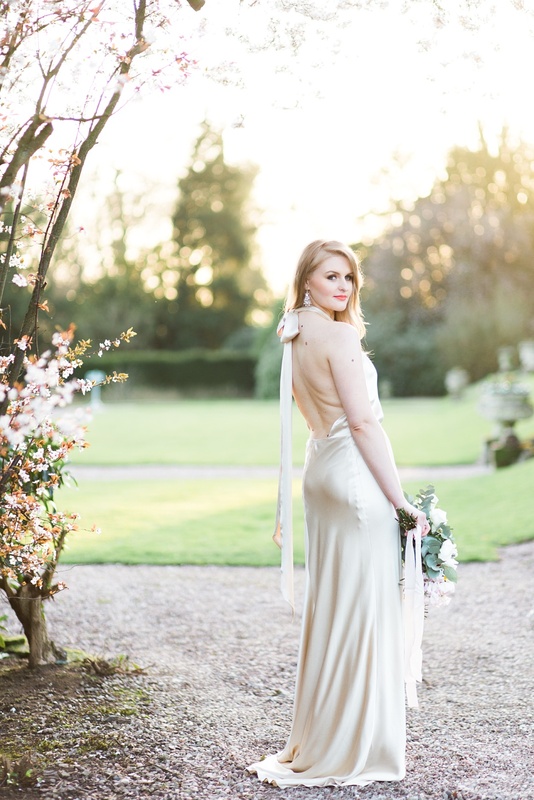 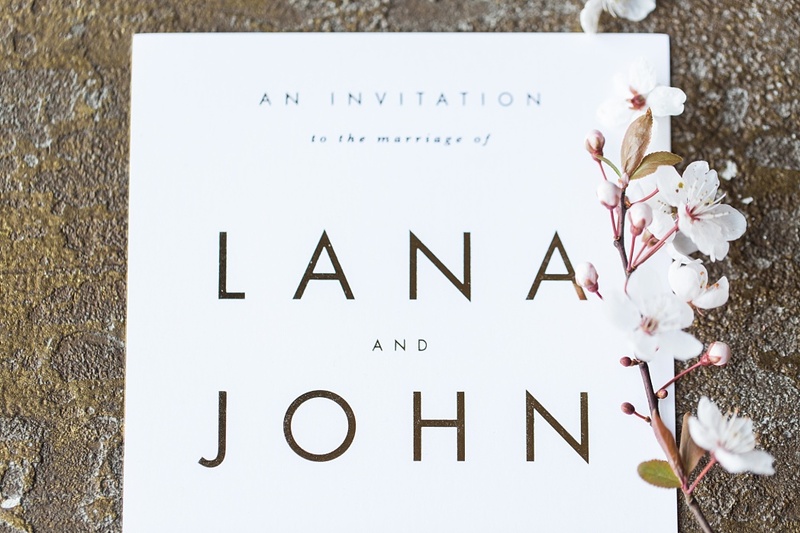 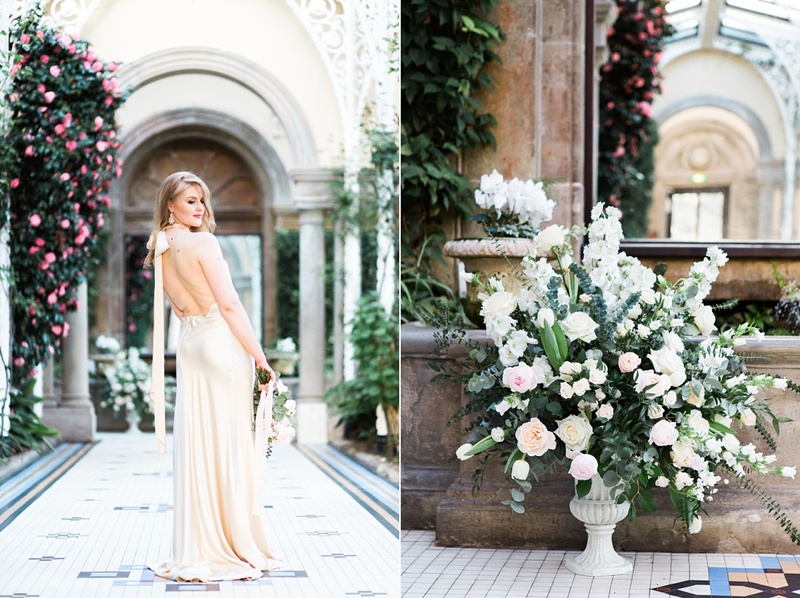 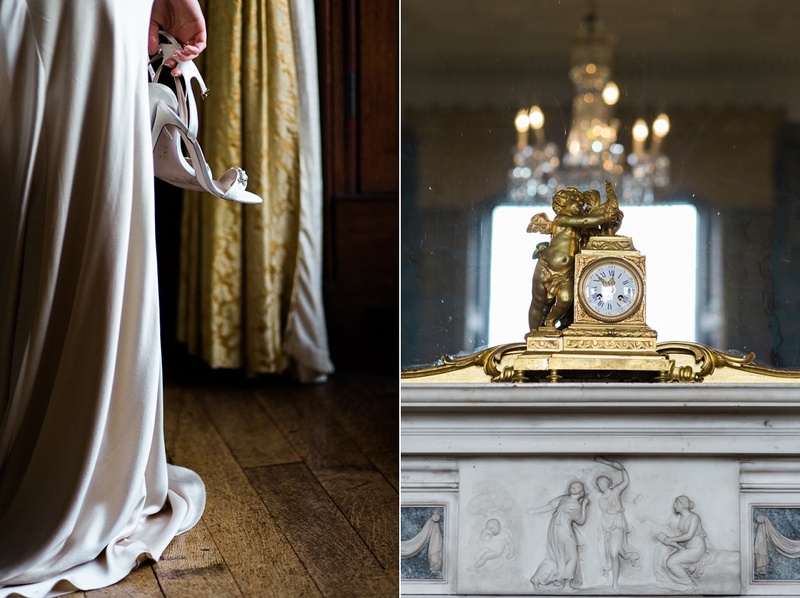 We hope you take some inspiration from this rather elegant shoot oozing old school glamour.  Scroll to see our wonderful vendor details.